PRESIDENT Evo Morales hopes to start a “new era” in Bolivia’s relationship with Chile after today’s International Court of Justice ruling on Bolivia’s access to the sea. HUNDREDS of thousands of women turned out on Saturday for a wave of nationwide protests across Brazil against right-wing presidential election frontrunner Jair Bolsonaro. RALEIGH, N.C—In a win for North Carolina’s unionized farm workers, a federal judge reinstated the right of their union, the Farm Labor Organizing Committee, to negotiate for a dues checkoff in contracts it signs with state tobacco growers and other farmers. 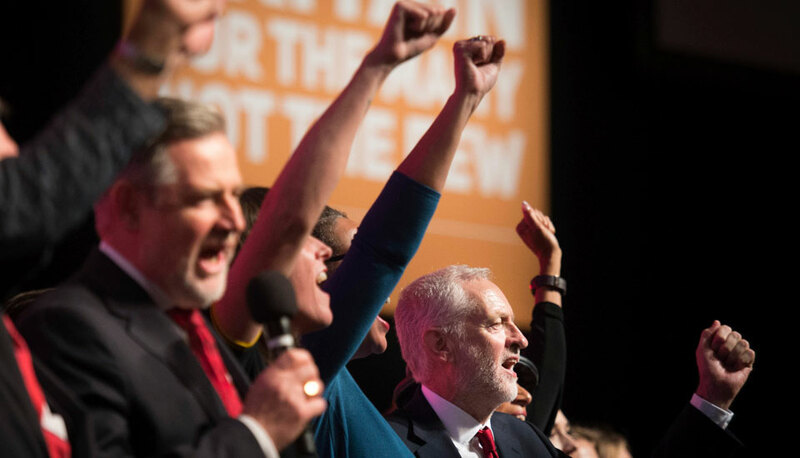 LIVERPOOL—British Labour leader Jeremy Corbyn’s speech to the party’s annual conference yesterday was a call to arms for the labor movement, a clear challenge to all those who oppose Tory austerity in Britain to unite and bring an end to it for once and for all. Samir Amin, already a major figure in the political economy of development, was the author of the first article in the first ever issue of ROAPE, in 1974. As the editorial noted, the article was “a summary of his basic model of the workings of the international system as a whole, presented at length in his two recent books” (the two- volume Accumulation on a World Scale, Monthly Review Press, 1974). The Egyptian-born social scientist and activist Samir Amin wrote extensively on political economy and the challenges for the peripheral capitalist states. He died in a Paris, France hospital on 12 August 2018 at the age of 86. He was a prodigious researcher and publisher issuing over 40 books, hundreds of articles and papers dealing with the relationship between the colonial, semi-colonial and neo-colonial territories and the imperialist states.